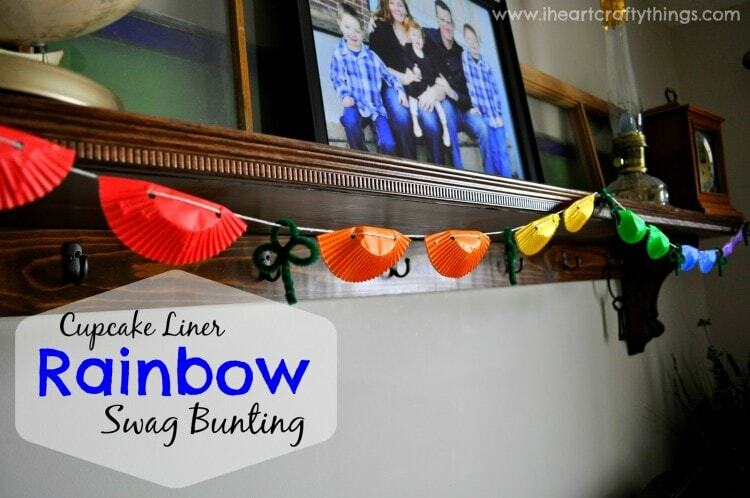 Rainbow Swag Bunting…Made from Cupcake Liners! 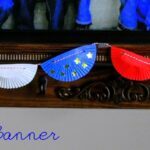 Since we had our cupcake liners out the other day to make our Rainbow Craft we decided to add some fun festive Spring decor to our front room and made a Rainbow Swag Bunting to hang on our mantle. 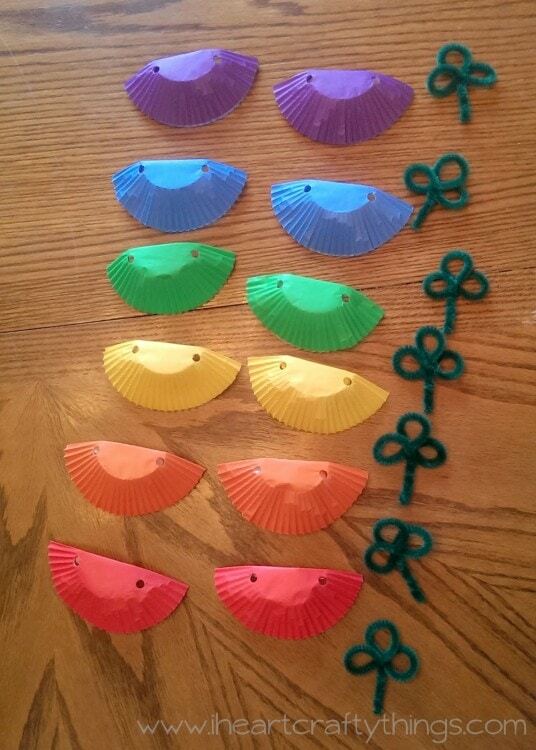 2 Cupcakes Liners each of the following colors: red, orange, yellow, green, blue and purple. 1. Start by using the directions at Catholic Icing to make shamrocks out of your 7 green fuzzy sticks. 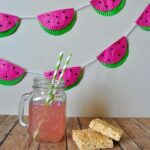 Our fuzzy sticks are Craftprojectideas.com brand. They are also known as pipe cleaners. You can buy a pack of 25 for fairly cheap at your local Wal-mart in the crafts section. 2. 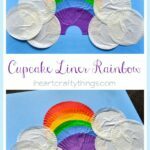 Press all of your cupcake liners out flat and then fold them in half. Punch two holes along the folded side of the liner with your hole punch to thread your string through them. I used the circular shape on the liner as my guide for where to punch the holes on each liner. I laid my liners and shamrocks out on the table in color order with the shamrocks in line so they be would easy to grab and put on the string. 3. 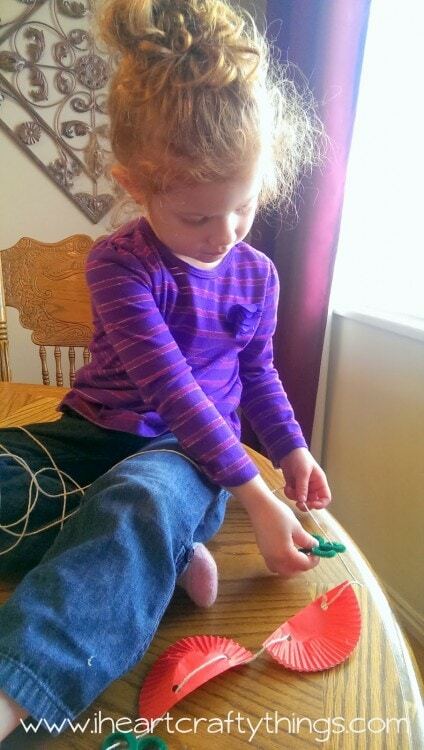 My big helper helped me string all the liners and shamrocks on my gold bakers twine in the correct order. We started with a shamrock, then 2 red liners, another shamrock, 2 orange liners, a shamrock, etc. 4. 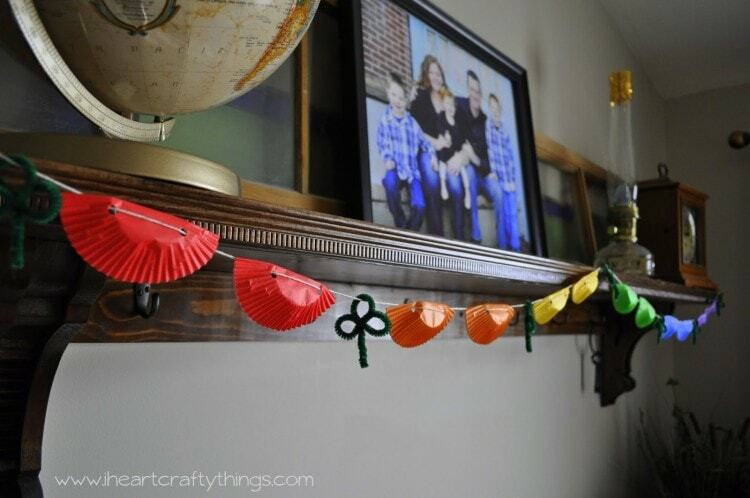 Use tape to hang it up on your mantle or wherever you want to hang it. I taped mine up in the middle also so it had a swag on each side. Now we are all ready for Spring!